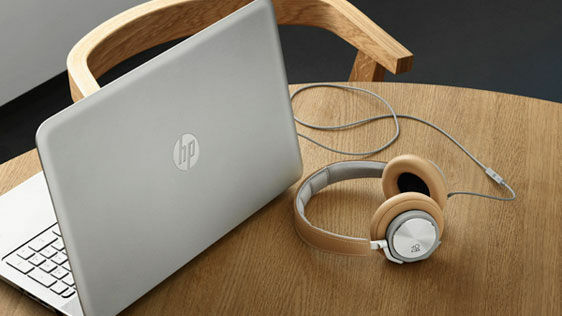 Hewlett-Packard Co.’s nearly six-year partnership with Beats for premium audio on its high-end laptops was on borrowed time since Dr. Dre sold the company to Apple, and now it’s officially over with HP going to Denmark for a replacement. Danish company Bang & Olufsen will bring its B&O Play experience to HP’s PCs, tablets and accessories, and, in particular, select high-end consumer and commercial notebooks. HP says that its customers want bold, crisp and accurate audio whether they’re on internal speakers or headphones, and they want the ability to enhance sound to their liking. B&O has over 90 years of experience in the audio and acoustics space and recently launched its BeoPlay H8 Headphones and BeoPlay A2 music system. Each notebook and other device branded with the B&O or B&O Play brand will be custom tuned by the two vendors for precise sound, and feature a dedicated audio island that isolates the sensitive audio circuits from other signals on the motherboard. The headphone jack will limit the amount of metal parts to reduce ground noise, and customers will have the ability to customize their audio for movies, music and voice through the audio control panel, either manually or based on preset configurations. The first products under the partnership will be available this spring, with the B&O brand on HP Spectre, Omen, Envy and select commercial PCs, and B&O Play on HP Pavilion PCs, tablets and PC audio accessories.